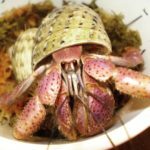 How to source your hermit crabs? So, I've been daydreaming about hermit crabs for years, but negative news about how they're treated in the trade have deterred me. I know these are extreme cases, but how do you know if your crabs aren't from one of these kinds of sellers, aside from signs of disease? Is there a list of reliable hermit crab sellers online? What kind of questions would you ask from your petstore about their suppliers? I live in Finland, if that matters. Last edited by HomeInTheShell on Mon Nov 19, 2018 8:34 am, edited 1 time in total. Re: How to source your hermit crabs? The best bet if you dont want to support the trade is to adopt some crabs from others that dont want theirs anymore... you may find that people local to you dont want their pets anymore, where in a lot of cases they are free or very underpriced - and sometimes come with extra goodies! Otherwise, its pretty much impossible. OK, I guess I'll be searching for rehoming cases then. Thanks! Being in Europe, you may not have the same importers as the ones we have in the US. The EU has some very stringent animal welfare laws and therefore the companies are often much better about animal care for all species. There is a huge hermit crab community in Germany that would be a better resource!